Waterproof Tron LED Costume for Flyboard (2018 model) | LED Clothing Studio Inc.
IP68 Waterproof / Shockproof patented technology. Ultrabright Digital LEDs or blue, green, red, yellow, pink, white and RGB colors. Tron model is a waterproof LED jumpsuit suit for flyboard, jetpack, skydiving or any other active sport, featuring a high quality RGB or Digital LED bulbs and bi-flex breathable fabric. Operated by wireless remote controller Tron LED Flyboard outfit is extremely easy to use and maintain during a performance. Shock and water proof, designed for diving, jumping and flying, our LED flyboard costume will serve you just well in conquering the night. 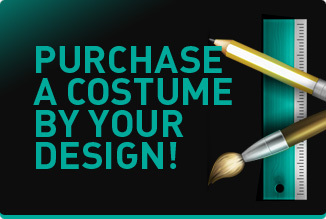 Bring all your bold and daring designing ideas to the light of day and let them glow through the night with our customized LED costume! What is the advantages of our Waterproof / Shockproof LED clothing? Any desired color can and will be chosen when creating your customized LED flyboard costume. Be it a black and white or the whole rainbow pallette we will help you create the best LED costume for your show with wide effects variety available to you. A radio remote controller is supplied with the model to help operate different modes. Fabric Technology. Supplex. Our LED flyboard costumes are made of a topnotch breathable Korean fabric called Supplex. High durability with no movement constraint and flexebility is what we found to be a corner stone in our approach and Supplex just serves the purpose well. Tron style or Custom design? Based on a Tron movie characters' suits our waterproof LED outfits will make your performance unforgettable for both fans and just occasional spectators. The design of LED jumpsuit and LED pattern can be customized upon your request. Just send us your sketch with the design and we will get back to you with final quote. Compatibility Matrix software and similar products installed on your computer will give you access to the controller from your PC. Refined technology. The program of the watersport LED costume operates independently and doesn't require any other devices. To switch the mode two small buttons are used, conveniently placed by your hand, you just click up or down to move on to the next or previous mode. Whereas light aviation wires finely soldered into the pattern reduce the weight of the LED suit for flyboarding. System. The LED waterproof costume doesn't require any special batteries. Contained in a special waterproof bag outside the suit the batteries can be easily replaced if needed even during a long show. Sizing. We create a flexible LED waterproof costume by measurements provided by a client or of a standard size. Why us? Customer service Delivering the best customer service is one of our corner stones. Free shipping worldwide. We are happy to ship your LED suit worldwide free of charge using Express mail delivery. 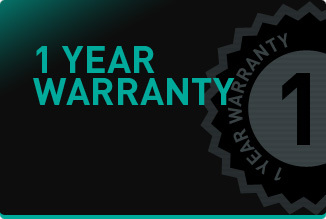 After-sales service and Warranty. Any problem arise our tech team will guide you through in order to help fix an issue or you can simply send it back for overhaul at our expense within the guarantee period. Please refer to "SHIPPING and PAYMENT" tab for more information about how to purchase this product or order LED clothing with custom design. Top notch LED costumes for parties: Tron costumes, Super Junior jackets, Psy costume etc.